Any idea on which software they are using. These Sankeys are beautiful! my first guess was e!Sankey. But then there are some details such as the ‘Backfilling’ stream staying absolutely parallel to the ‘Recycling’ stream even along the curves… so I am not 100% sure. 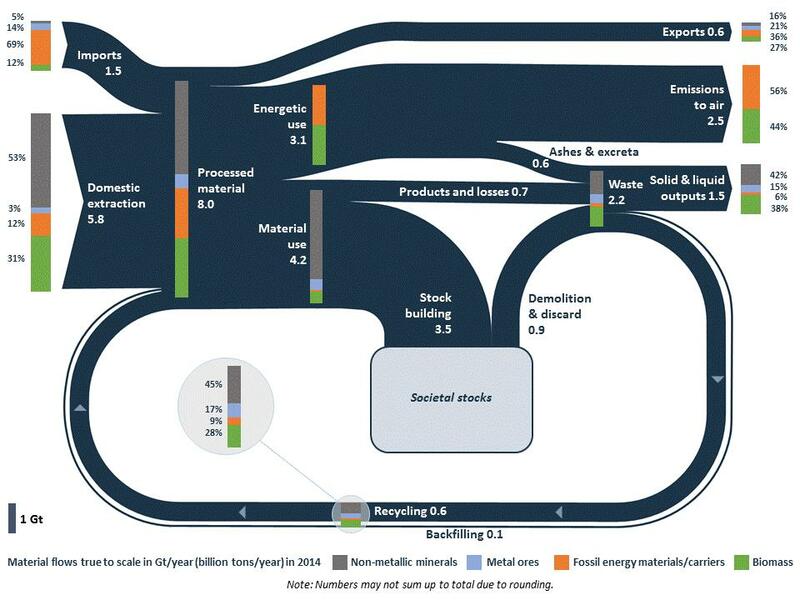 The stacked bars overlay is not part of any Sankey diagram software to my knowledge, so they were probably done by a graphic designer. Maybe someone else can shed a light on this.